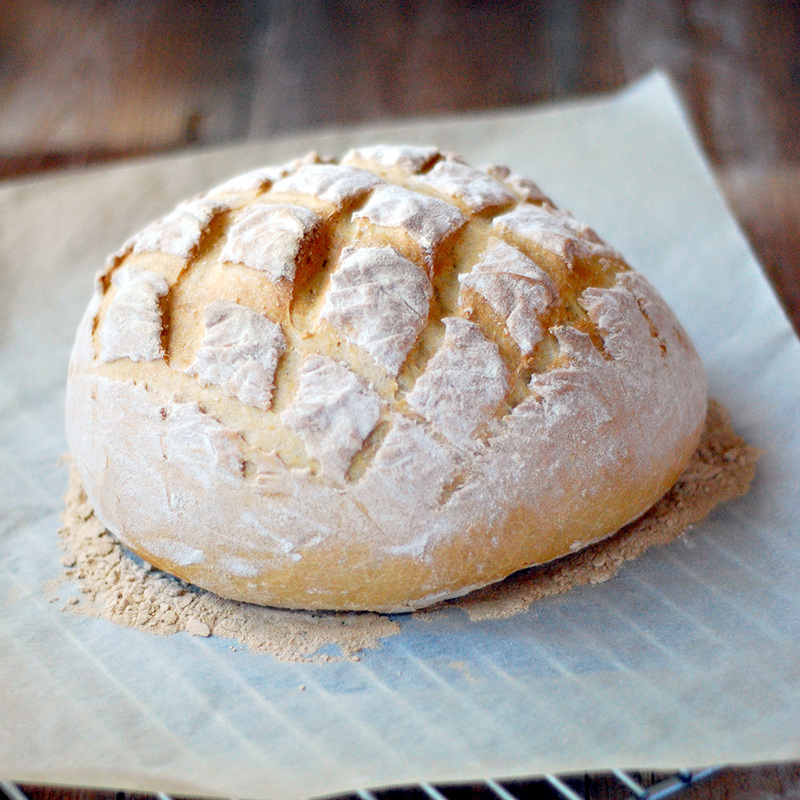 Nothing beats homemade bread. The bread maker at home is my husband Neni, which is also my designer and photographer, I know multitasking husband. The smell and the softness of this bread will blow your socks off. Give it a go, it’s totally worth it. Place the dry ingredients in a bowl, taking care not to have the salt and yeast touching. Add the oil and 240ml of water. Using your hands, mix the ingredients together. Gradually add the remaining water, until all the flour leaves the side of the bowl and you have a soft, rough dough. Pour a little oil onto a clean work surface. Sit the dough on the oil and begin to knead. Do this for 10 minutes. Place the dough into a clean, oiled bowl. Cover with wet kitchen towel and leave in a warm place for 1 hour. Place on a tray lined with parchment paper, cover and leave to prove for 1 hours at room temperature. Preheat the oven to 220C and place a baking tray filled with water on the bottom shelf of the oven. Place the loaf on the middle shelf and bake for 25 minutes. After this time lower the heat to 200C and bake for a further 10 minutes.